Industrial Automation plays an important role in the world economy and in daily experience. 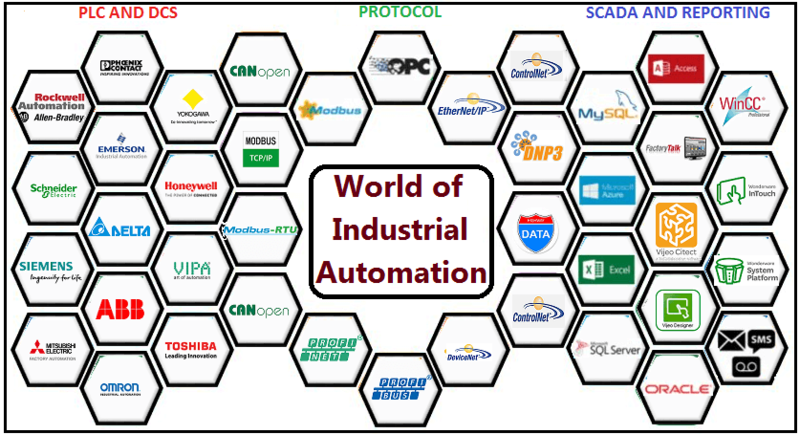 Industrial Automation is the use different control systems like PLC, SCADA, DCS, EMS, MES, communication technologies(use a different protocol like Ethernet, Modbus, Profibus), information technology to reduce the need for human work in the production of goods and services. In the scope of industrialization, automation is a step beyond mechanization. In today’s world most of the System, Machine operates on automation Because of that the automotive systems are most efficient.”Automation” in simple terms, we can say that “move(motion) by itself(Auto). In an increasingly competitive global marketplace, technology to help sustain profitable business growth is a focus for many companies. Like… ROCKWELL,SCHNEIDER,PHOENIX,SIEMENS,HONEYWELL,EMERSON.These companies list below show with their Product. So currently in automation PLC, SCADA, DCS, Process Instruments have made automation more reliable and powerful. 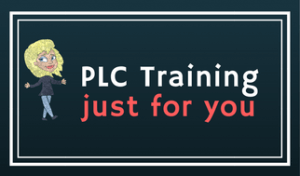 PLC: PLC means Programmable Logic Controller. It is a Hardware combining various Digital and Analog input/output, power supply, memory & processor. PLC controls the process sequentially in one microprocessor-based controller, communicates with HMI / SCADA. SCADA: SCADA means Supervisory Control & Data Acquisition. It is a Software which runs on a computer and provides Graphical monitoring/controlling, Alarming, Trending, Reporting etc. In the present competitive industrial automation, the deployment of automation solutions has become a required for organizations. Automation solutions are DCS, SCADA, PLC, MES, AM, EMI, and HMI are being widely used by various Process and Discrete industries worldwide. However, organizations across industries are facing problems in terms of deployment of these automation solutions and making them suit their specific requirements. In some organizations across various Process and Discrete industries including the Power, Oil and Gas, Chemical and Petrochemical, Pharmaceutical, and Pulp and Paper industries opt for these services to enhance their operational efficiency and to optimize their overall operational cost. Parameters such as customization, experience, price, and turnaround time play a very important role in the purchase of industrial automation services. The exhibits below show the importance of these parameters from the viewpoint of end-user industries. The impact of the buying criteria is graded on the basis of the intensity and duration of their influence on the current market landscape. Industrial automation is increasing more improve efforts to making manufacturing processes more efficient reliable and reduce rates. In Current Automation market all the major sectors such as automotive, chemicals, manufacturing, and mining etc. Automation systems perform complex tasks and consistently improve quality production. Automation systems use communication networks is also facilitating the ineffective use of workflow in production facilities. The industrial Automation market included Process Automation, Factory Automation & Electrical Automation. Process Automation generally included continuous process industries, refineries, fertilizers, chemicals & petrochemicals, steel, cement, pulp & paper, polyester fibers, oil & gas exploration, production & distribution. Approximately the automation system market presently is around Rs. 8000 crores. In Electrical Automation, Transmission & Distribution, SCADA Systems & electrical parameters measuring add yet another Rs. 1500 crores. If GDP grows at an average 7.6%(per annum) year on year, growth in industrial automation could be around 4% from second year onwards. Again investments for smart cities & the Industry 4.0 can raise this growth rate to around 7%.